PepsiCo Inc. has just announced the February release of a new Mountain Dew-flavored morning drink called Kickstart, which, while it may sound revolting to most adults, is great news for 18-year-old boys with epically early morning econ lectures everywhere. 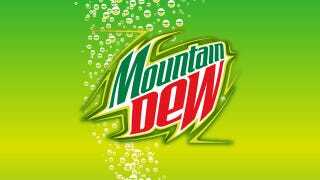 According to Simon Lowden, the chief marketing officer for PepsiCo's Americas beverages, market research found that Mountain Dew drinkers weren't finding what they wanted in morning drinks like tea or coffee because neither beverage tastes enough like lemon-y pee water. "They didn't really see anything that fit their needs," Lowden said. Coming in flavors like "energizing orange citrus" and "energizing fruit punch," Kickstart will be a whopping 5% juice and include Vitamins A and B, as well as additional caffeine. The company is not marketing it as an energy drink, however, and, despite coming in a giant 16-ounce can, the drink will actually only have about 92 milligrams of caffeine (a 16-ounce cup of coffee as about 330 milligrams). AMERICA'S COLLEGE STUDENTS: There is a kid on your floor selling Adderall. Forget this gross drink and try getting in on that party instead.